Get him out the hole! I hope he will, as, let’s face it, a Tolkien film – or even two or three of them (milk the prequel, boys, MILK IT), wouldn’t be the same without Peter in the chair. I’m sure once the movies get underway, my publishers HarperCollins will be chuffed to bits, as they publish The Hobbit, and no doubt the new movies will put a rocket under the number of readers wanting the book again. And a new generation reading Tolkien, no bad thing. 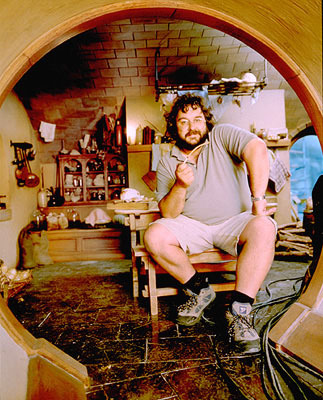 Peter will without a doubt do a splendid job of bringing The Hobbit to life on the big screen. I doubt think it was ever in doubt that he would rework his schedule to bring his focus to the films. I hope that Peter Jackson’s time doesn’t get spread too thin, though. Which sounds like a danger if he is doing this because he feels he really should, out of loyalty to his previous films.